Since the Museum of Ice Cream first launched in 2016, the pop-up exhibit has taken the country -- and Instagram -- by storm. Visitors have flocked to the museum's New York, Los Angeles, San Francisco, and Miami locations to experience the maze of ice cream and candy-themed rooms. One of the main attractions at the Museum of Ice Cream is a giant pool filled with rainbow sprinkles. Thousands of photos on Instagram show visitors gleefully prancing around the pool, submerged in sprinkles. They look like they are having a great time. Unfortunately, there's a hidden dark side to those sprinkles: they're made of plastic. Even worse, those tiny plastic bits are getting stuck in people's shoes and clothes and littering the streets as visitors leave, undoubtedly falling into storm drains in the process. This is extremely dangerous for our health, our environment and our wildlife. 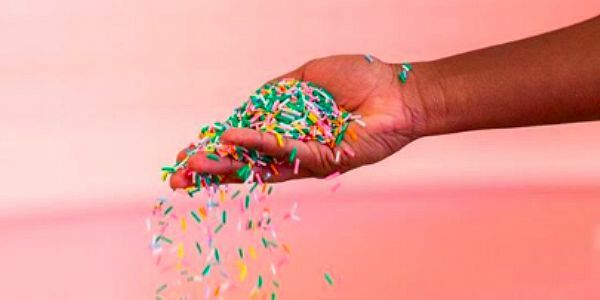 Please sign this petition urging the Museum of Ice Cream to replace the plastic sprinkles with a biodegradable alternative or remove the sprinkle pool until an alternative is in place. We have a major plastic problem, and it's time to aggressively combat it. Just this week, a pilot whale in Thailand was found dead with 17 pounds of plastic bags in its stomach. But the problem isn't confined to larger plastics. Microplastics, such as the Museum of Ice Cream's sprinkles, are just as dangerous. If eaten, they can block an animal's digestive tract, embed in animal tissues, and travel through our food chain, hurting every life they reach. We wouldn't want to eat plastic sprinkles with our ice cream, and we shouldn't expect our marine life to eat them either. Sign now to urge the Museum of Ice Cream to get rid of the plastic and switch to a biodegradable alternative now or remove the sprinkle pool until an alternative is in place.